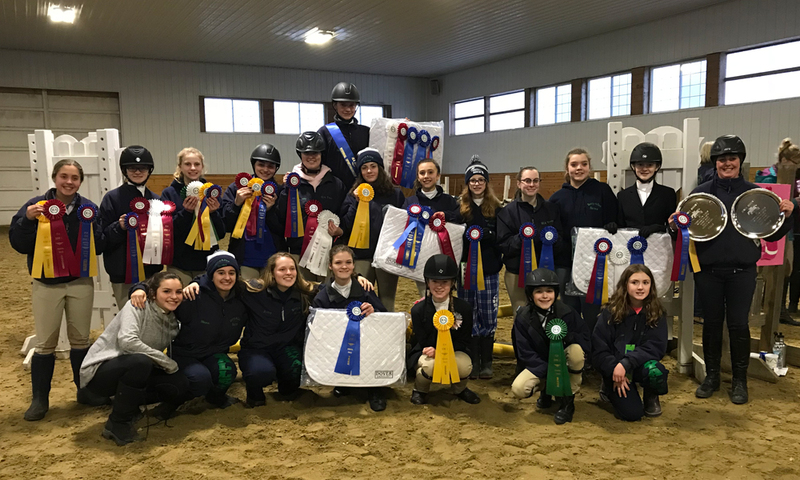 The TerryAllen Farms IEA Team was established in 2005 and has consistently qualified Individuals and Teams for the prestigious National Finals. All team riders must join the IEA. Team Membership is open to all riders who are in grades 6 – 12. Riders must join by mid November in order to compete in the current competition season. All Riders are required to practice weekly and there are multiple practice days. 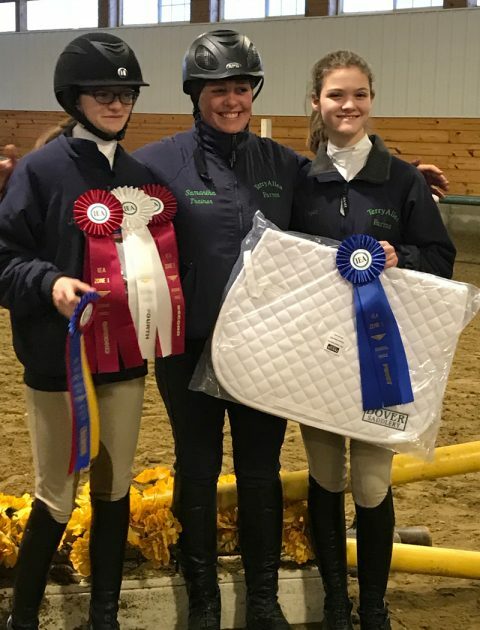 Riders are required to participate in a team practice weekly and are placed by the coach, Samantha Borkoski, in the appropriate level based on riding and showing experience. If you would like to join our IEA Team please call us at (860) 585-9018 or e-mail us via the Contact Us page, or stop by the barn and talk to one of our trainers. 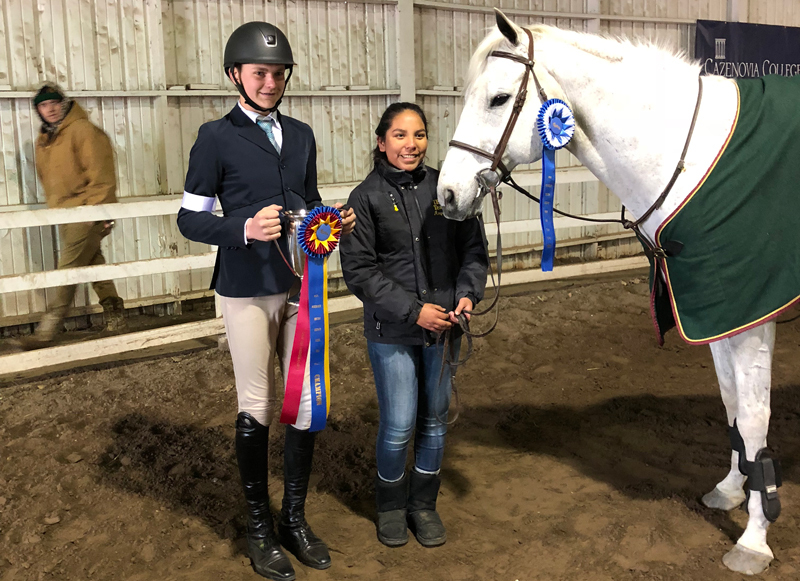 The Interscholastic Equestrian Association (IEA) was established in the spring of 2002 with the mission of introducing students in private and public middle and secondary schools to equestrian sports and to promote and improve the quality of equestrian competition and instruction. There is no need for any rider to own a horse because competition horses are provided at each venue to the contestant. PLYMOUTH – Riley Babb has been riding since the age of eight. Now eight years later, he is a champion equestrian. Riley, who is a freshman at Wamogo Regional High School in Litchfield, is the son of Gary and Jill Babb of Plymouth. 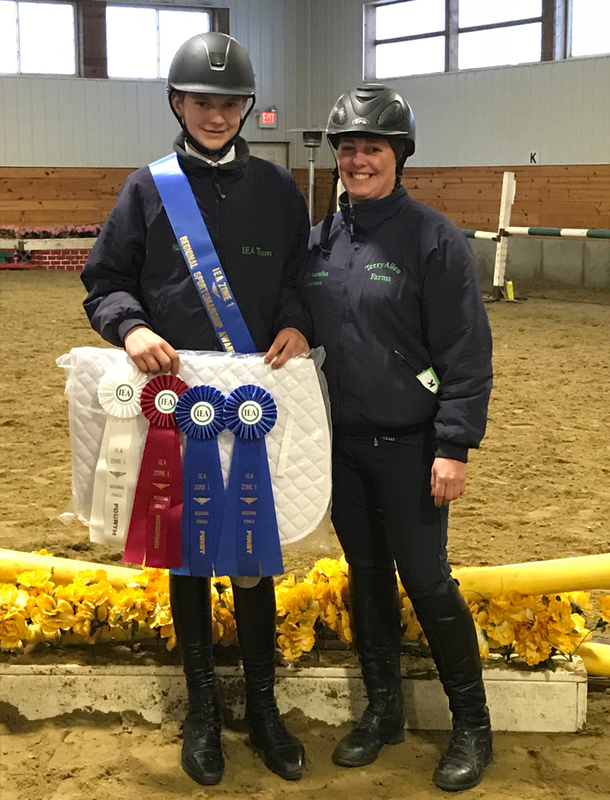 He has been a member of the IEA (Interscholastic Equestrian Association) Equestrian Team at TerryAllen Farms in Terryville for four years. He is now the reigning IEA Hunt Seat National Finals Champion for the Varsity Intermediate 2’ Over Fences class (which involves two-foot high jumps), having won at the IEA National Finals held in April at the New York State Fairgrounds in Syracuse. Hunt seat is a form of English riding, based on the tradition of fox hunting. TerryAllen Farms is a family owned and operated full service equestrian facility. We invite you to come visit us in the picturesque Litchfield Hills and see what we have to offer!. We are sure you will enjoy the experience. Come ride with us today!